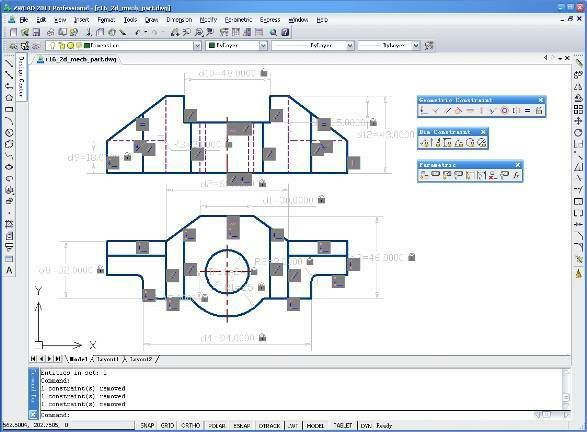 ZWCAD+ is cost-effective, DWG file format compatible CAD solution which provides innovative, collaborative and customizable features for both the AEC and MCAD industries. Associative Dimension : ZWCAD+ creates dimensions which measure values, locations and orientations. They are automatically adjusted along with the geometric objects. This intelligent annotation feature makes work more efficient. Images : ZWCAD+'s new image processing engine now, allows you to insert or edit big raster images smoothly in various image formats such as BMP, TIFF, GIF, JPG, PCX, and TARGA. Mleaders: Multileaders enable you to attach annotations to multiple leader lines. You can add a leader line to an existing multileader object or remove a leader from it very conveniently. Hatch: Hatch fills in the enclosed area or object with a solid fill, gradient fill or a predefined hatch pattern. This makes the drawing vivid during a presentation. ZWCAD+ supports . pat files from other mainstream CAD software. Revision Cloud : Revision clouds call attention to the areas of a drawing that contain revisions. You can select the style of the revision cloud: Normal or Calligraphy, as well as convert objects to revision clouds, such as circles, ellipses or polylines. External References: Insert entire DWG files as external references. This lets everyone on your team collaborate together on big designs, yet wont increase the drawing file size by much. Tool Palettes : Tool palettes now include all of the new built-in Architecture, Mechanical, and Electrical blocks in ZWCAD+. Moreover, you can import and export all of the blocks you've customized. Design Center : The Design Center allows you to search and access any CAD resource stored on your computer or other computers on your local network. You can insert content in the current drawing, such as dimension styles, blocks, text styles, line types, and even layers from other drawings. Layer Properties Manager : The Layer Properties Manager lists all the layers and their properties for batch processing. By editing the properties and applying changes in the manager, it greatly reduces the visual complexity of a drawing. Layer Translator : With the Layer Translator, you can translate the layers in the current drawing to the specified layer standards. The standards could be defined in other drawing or standard files. Block Attribute Manager : You can easily view, edit, and synchronize all of the attributes that are already attached to a block in the current drawing with the Block Attribute Manager. Multiple Documents Tab : You can open multiple drawings at the same time, and quickly switch from one drawing to another. Plot : You can plot drawings to both files and paper. Multiple options can help you to fine-tune the results. Including specifying the paper size, setting the plot scale, selecting a plot style, and adding a plot. CTB\STB : ZWCAD+ provides two types of plot tables: named plot style (STB) and color- dependent plot style (CTB). These enable you to assign how things plot such as line weight, color, dithering and more. 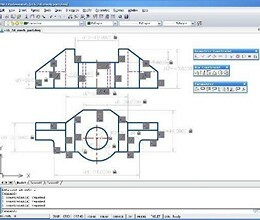 Publish : With Publish, models and layouts can be published to a single or multi-page DWF file or plotter. This alloww you to share drawings with coworkers or clients safely and quickly. Etransmit : Etransmit improves collaboration between you and your clients. With a simple click, it collects all of the related drawings and support files and puts them into one package. The package includes the drawings, images, external references, fonts and other files you might want to attach. Viewport Maximization : Viewport Maximization enables you to freely edit drawings through the viewport without changing the viewport's scale and scope. Overkill : Overkill deletes duplicate or partially overlapping objects in the drawing. Cycle Select : Cycle Select allows you to select an object that overlaps other objects. The relevant object is highlighted, enabling you to select the right object the first time. Select Similar : Add similar objects to the selection set according to matching properties such as color, layer, linetype, name, and more. Object Isolation : Object Isolation controls the object visibility independent from layer isolation, which can display only the objects selected and hide everything else. This makes working with complicated drawings much easier and faster. Auto-complete Command Input : It provides a convenient method for users to input commands or system variables dynamically. Lock Drawing : Lock Drawing locks the selection with a password so that it is visible, but cannot be edited. * ZWCAD download link provides trial version of the software. ZWCAD has been rated 3.0 out of 5 points. A total of 1 votes cast and 0 users reviewed the software.